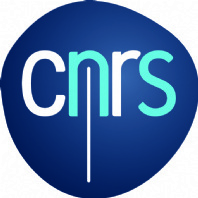 This 2 1/2 day meeting spans physics at the nanoscale to microfluidics, with special attention given to applications in chemistry and the life sciences. We have some amazing speakers, including, for the first time, an industrial session, but we also need your contribution! 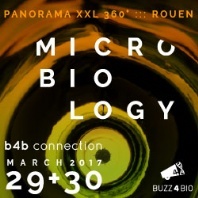 Molecular Biosystems Conference on Eukaryotic Gene Expression and Functional Genomics. The conference aims to bring together scientists from all over the world, at different stages of their scientific careers, to discuss recent advances in the study of gene expression in eukaryotes, with a strong focus on global approaches to study gene function, regulation and evolution. The aim of the present 3 day international Flow17 conference is to develop the fundamentals of micro- and nanofluidics by stimulating exchanges within the community, providing them a unique opportunity to meet, along with stimulating the exciting applications that are currently driving, in a very inspiring manner, the field. Dans le cadre du projet Européen MIGRATE (MIniaturized Gas flow foR Applications with enhanced Thermal Effects - http://www.migrate2015.eu), l'Académie des Sciences Bulgare et l'INSA de Toulouse organisent à Sofia (Bulgarie) une école d'été les 26 et 27 juin prochains et un workshop les 29 et 30 juin. 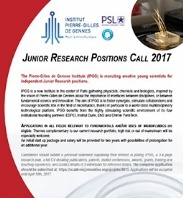 IPGG is recruiting creative young scientists for independent Junior Research positions. Applications in all fields relevant to fundamentals and/or uses of microfluidics are eligible. Themes complementary to our current research portfolio, high risk or out of mainstream will be especially welcome.